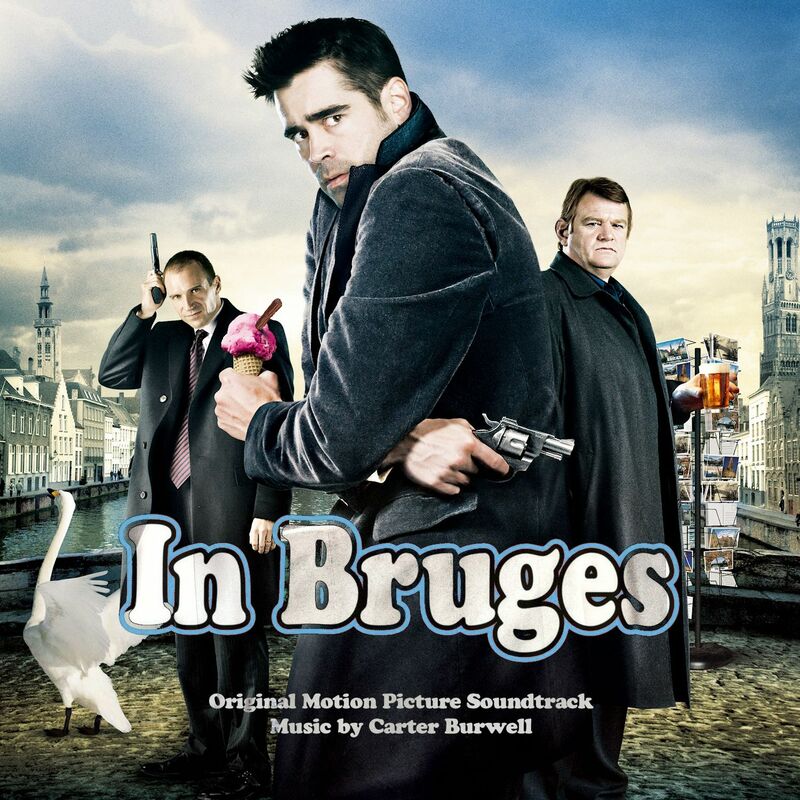 The chamber-music-like score to In Bruges grew on me over time until now, where it sits on top of my 2008 soundtrack list with a definite 10 out of 10. Composer Carter Burwell will forever have a page in my book, despite his recent compositions which I’m not entirely keen at. But with scores like this one he hits just the right note. In combination with the film’s photography, Burwell created a dense athmosphere filled with melancholy, loneliness and atonement. Three key attributes the original artwork (#1) didn’t transport all too well. So I sat down and started altering it’s colours, replacing the sky texture and changing the background to black (#2). I tweaked and fiddled until it finally looked as bleak and dozy as the city where the film takes place: In Bruges. The third one (#3) is actually a remake of an old custom cover I did a few years ago. But this time I used a much higher resolutioned source artwork, switched font types, shopped out a few text elements and added an effect to get more texture. For the last custom cover (#5) I had created different colour accentuated versions and I planned to publish them all here in this post. But it is said, that good designers preselect for their audience (“less is more”) to prevent monotony and boredom. So I narrowed it down to my favourite one for you, isn’t that nice? 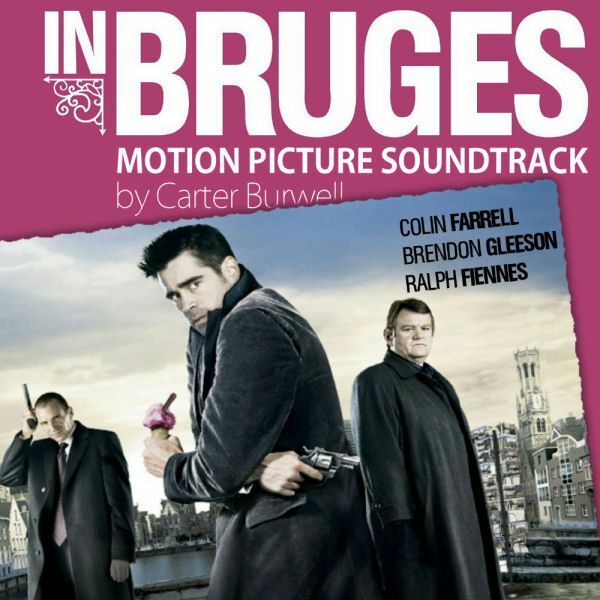 I bought In Bruges on iTunes the night after I watched the film for the very first time. Back then digital booklets were a rarity, but still Lakeshore Records managed to add one to this digital release, so here you go.